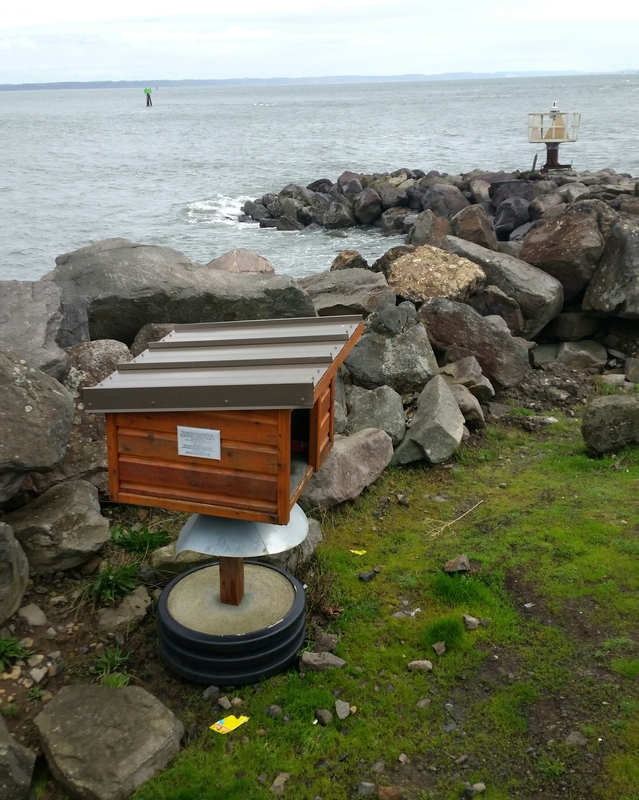 The coastal hamlet of Westport is a well known destination for clammers, fishermen, kite flyers and… cat colony fanciers?! Well this one at least! 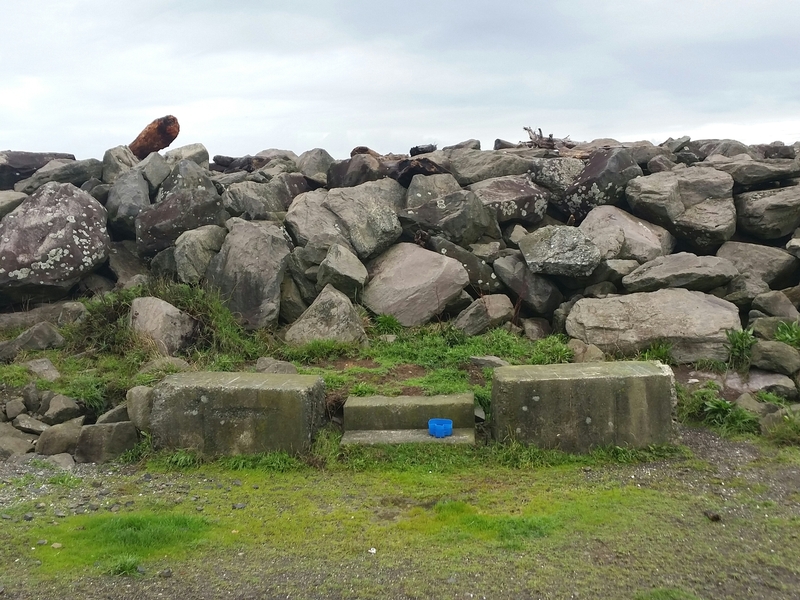 For me, no trip to Westport is complete without a visit to the abandoned cat colony on the northern most tip of town to try and spy one of the few dozen felines dwelling within the vast seawall. Stretching from Lost Sailor’s Memorial at the east end of Neddie Rose Drive to the Observation Tower in the west, the north seawall is home to “The Jetty Cats”. 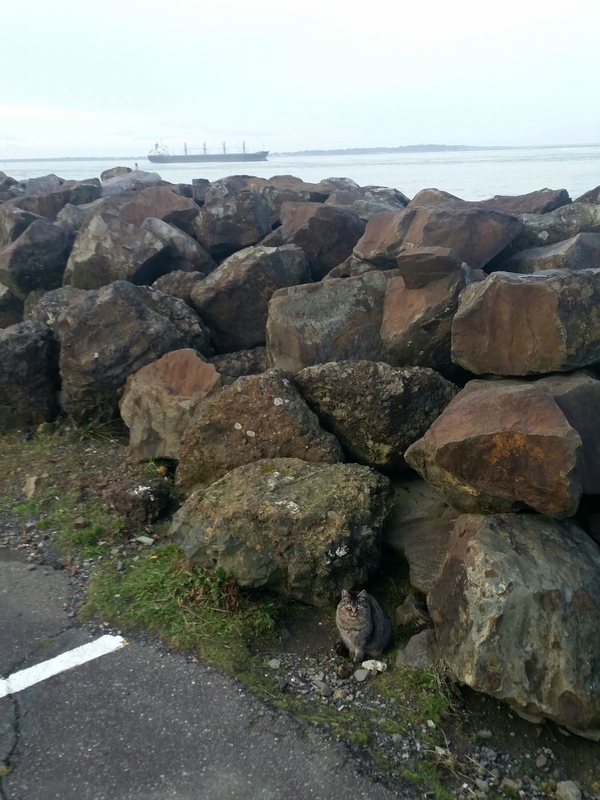 PROTIP: The Jetty Cats can be pretty secretive, so a sighting isn’t always a guarantee, especially if you’re flailing around and yammering on. Be silent and be gentle and your chances to see one will improve. Spaced along portions of the wall are feeding stations built and maintained by volunteer efforts. Basically they’re little cat cafés on poles, each with a metallic anti-raccoon cone keeping unwanted guests from the kitty vittles. Sadly, all of the colony inhabitants are abandoned pets, some of them will still even approach trusted people. A volunteer capture and spay/neuter program prevents unchecked breeding at the colony. From the I-5: At Olympia head west on the US101. 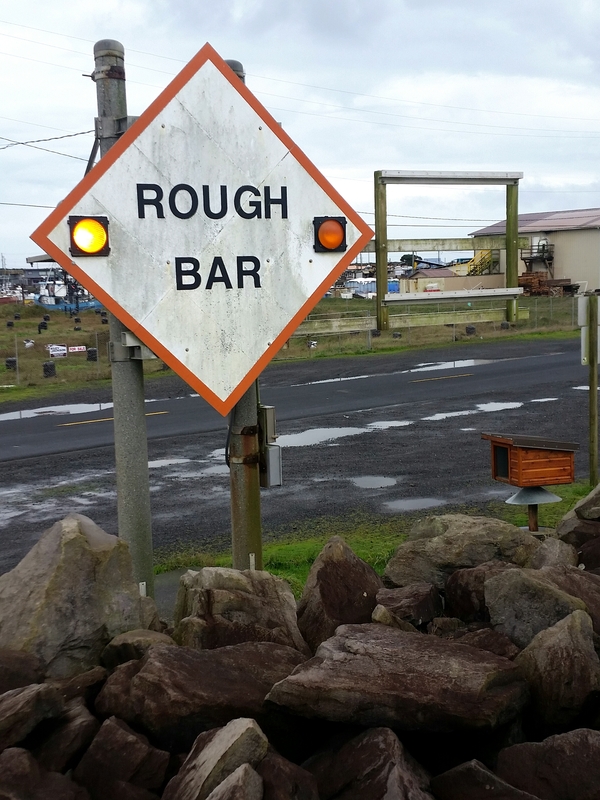 Bear left onto state Route 8, which becomes the HWY 12 as you continue towards Aberdeen. 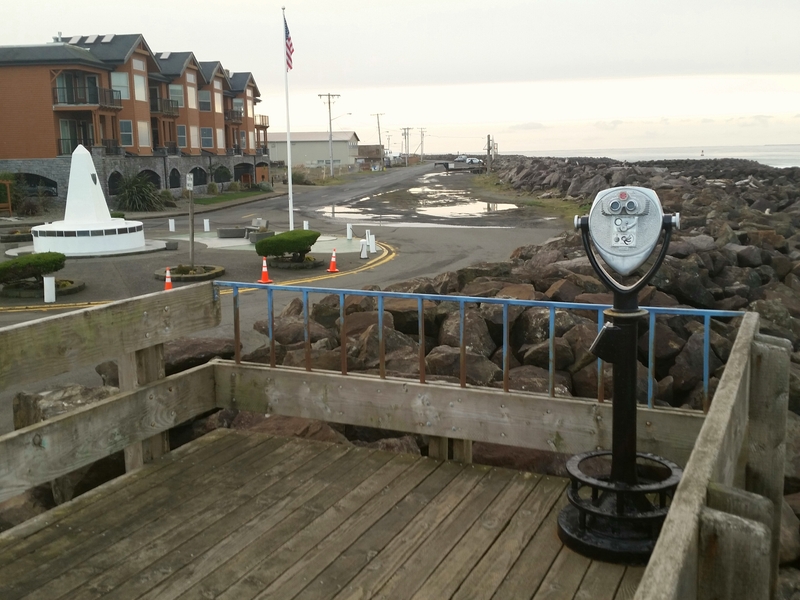 Once at Aberdeen, head south on the state route 105 which will take you all the way to Westport, follow it north through town to the Sea Kitten’s Lair. Wish I could leave a photo as I am enjoying the privilege of having one of the most gorgeous and sweetest jettycats ever laying on my chest and purring.